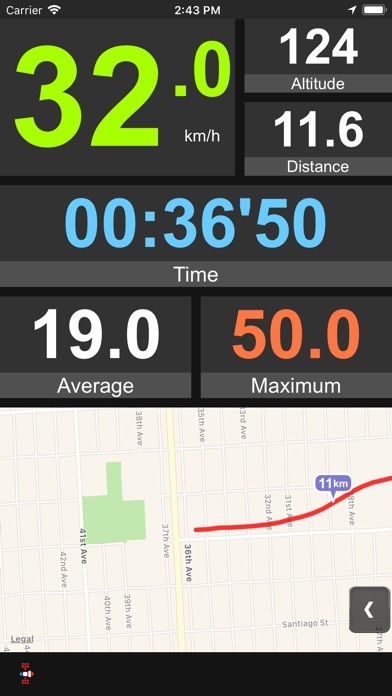 CycleComputer is an iPhone app designed to track speed, distance and route in real time when cycling. 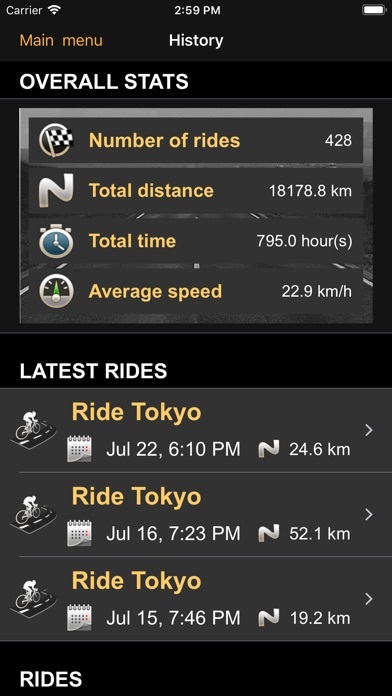 It has three unique ride information displays, supports the Wahoo BTLE SC sensor and can manage rides history. Main features - Three different displays to choose from : digital, analog and map, each with large readings that let you capture all the information with just a glance. - Easy to use, number of screens kept to a minimum. - "Automode" that automatically stops the timer when you stop moving. 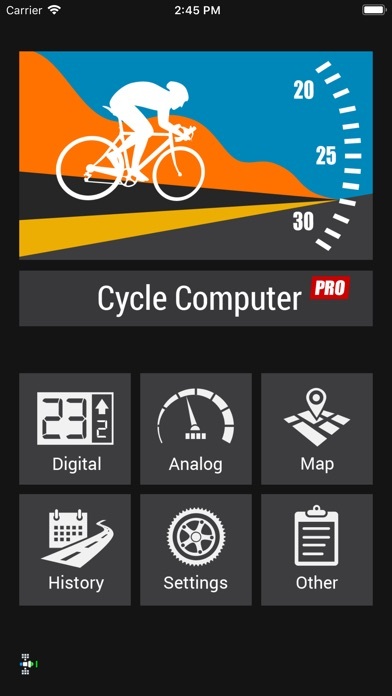 - Swipe horizontally to switch between digital, analog and map screens. - Support for both metric(km) and imperial(mi) readings. - Save, browse and review rides. - Support for GPS and Wahoo BTLE SC sensor. 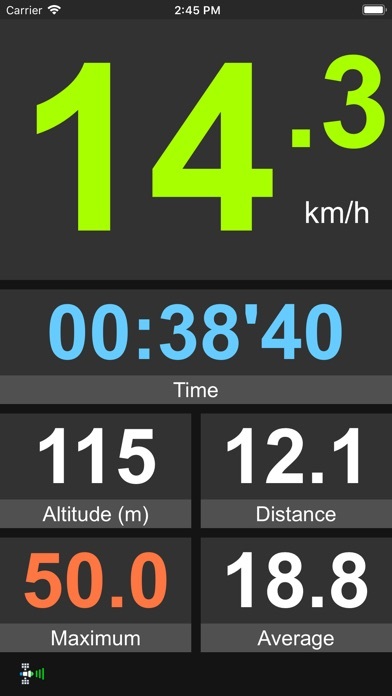 - Calculate total ascent and calories for each ride - Background operation - Sharing ride details by email, on Facebook/Twitter - Ride export by email or to other apps (GPX file) - Ride import from other apps (GPX file) DISPLAYS -Digital Looks like an actual cyclocomputer. Uses very large fonts to let you capture all the information with just a glance. Uses very little power, good for cyclists who go for long rides. 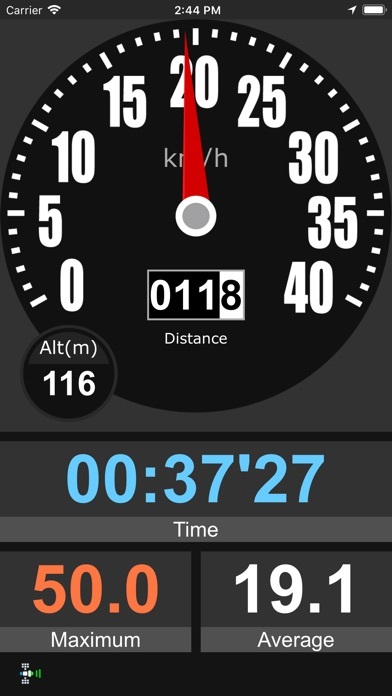 - Analog Looks like a car speedometer. 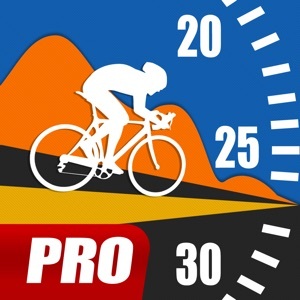 - Map Displays the speed, time and distance, tracks your ride on a map(Apple standard, hybrid, satellite or Google map) with optional distance markers. NOTE - The background operation option must be enabled for the app to keep running in the background Warning : Continued use of GPS running in the background can dramatically decrease battery life.